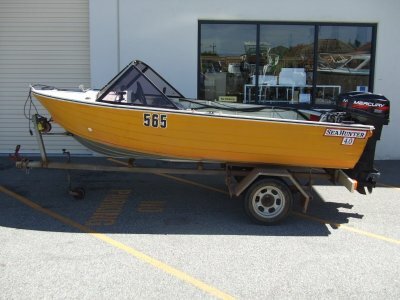 The 4.1m Challenger Open is suitable for recreational fishing and boating in creeks and protected bays. 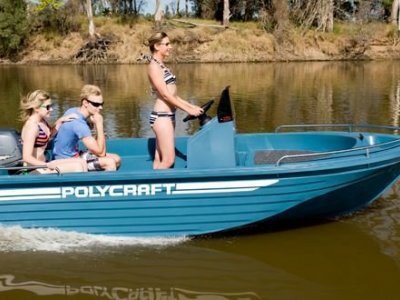 The hull is a V-nose punt design, with reverse chines to provide awesome stability at rest and responsive turning at speed. 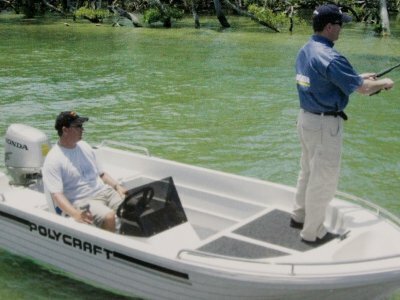 The soft, quiet ride distinguishes the 4.10 Challenger from many boats in its class as the Polyethylene hull absorbs on water vibrations and noise into the hull and not its occupants. The 4.10 Open has high sides for safe boating and has a well laid out interior that provides storage for safety equipment, fishing tackle, fuel tank and other gear. 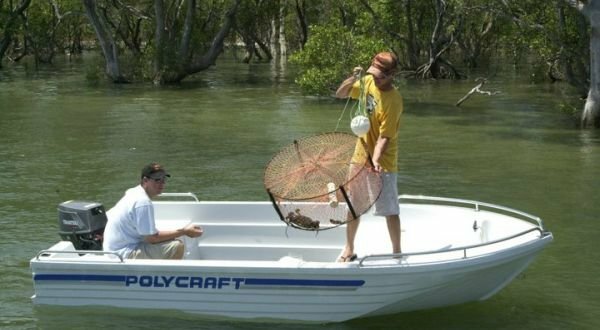 It is a popular choice for creek fishing and crabbing.